We test out bleaching pine cones at home. Does it really work and how long does it take? We have all the answers here! 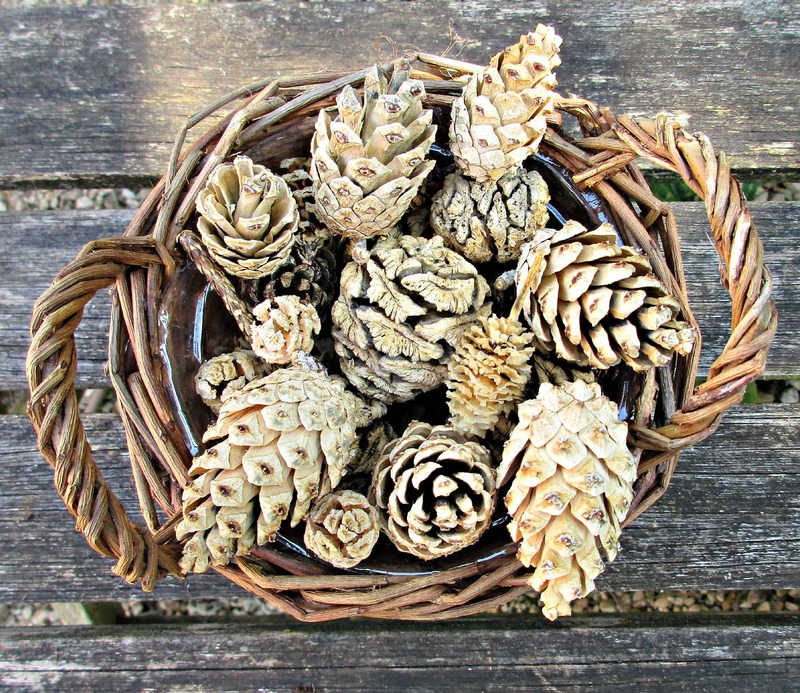 See our bleached pinecones turned into a beautiful centre-piece. I am a huge fan of Pinterest! Every visit, I find something new and different that inspires me; whether it be a craft project, recipe, fantastic nail art or a beautiful holiday destination. It’s like the perfect, endless, glossy magazine full of amazing images. I am aware, of course, that some of these glorious images must have teams of designers behind them, and that not everything that we see on there has been thrown together on a kitchen table, in the way you and I might! There are a few pins that I come across again and again, and each time a little voice in my head says ‘I wonder if that really works?’ Well, there is only one way to find out! Welcome to the first investigation in our series of Pin-Tested; where Craft Invaders try out crafty pins that inspire us and find out how easy it is to recreate that pin at home. We took a mixture of dry pine cones which originated for a selection of pine and fir trees, plus a couple of pieces of bark for good measure, and divided them equally into two. The plan was to treat both groups in exactly the same way but to leave one sample of cones in the bleach for 24hrs and the other for a few days. We used what I would describe as a good quality, thick bleach, and used it neat. 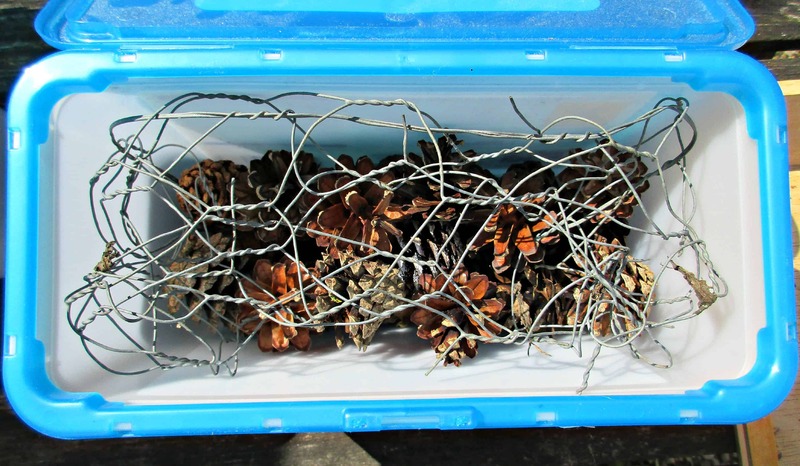 To help keep the pine cones submerged under the bleach, we used chicken wire. 24 hrs after we started our investigation, I tipped one lot of the pine cones out of the bleach and left them on newspaper outside in a covered area to begin to dry. 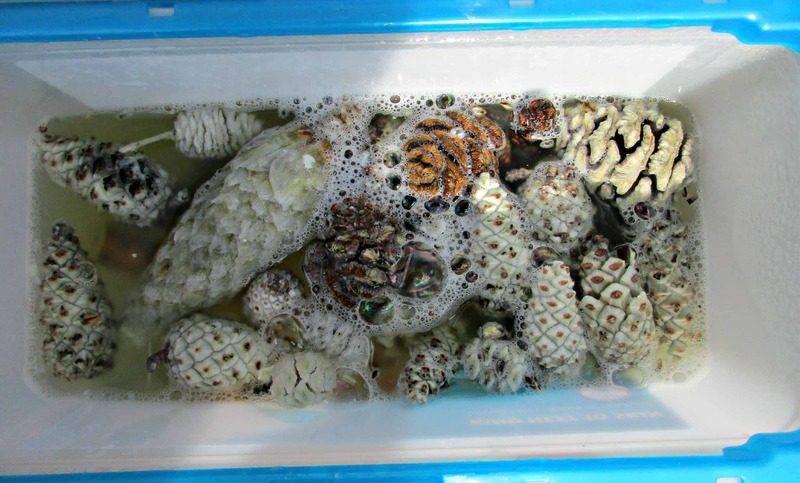 The second sample of bleaching pine cones was left for a full five days before being drained in precisely the same way. The picture below shows the 24hr pine cones in their bleach, just before I tipped them out. And here are the 2 groups of pine cones two weeks after the second batch also came out of the bleach. The group on the right is the batch that spent 5 days in the bleach (the long odd shaped cone is our marker). As you can see leaving the cones the extra time made no real difference to the final results. 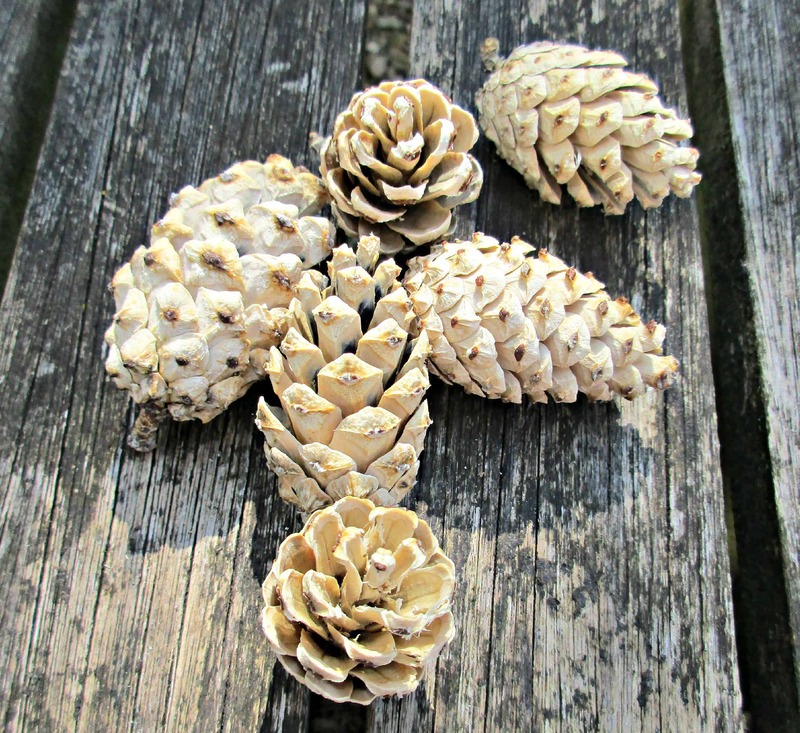 So it’s true, bleaching pine cones at home is simple and quick! The traditionally shaped pine cones were the ones that responded best to the bleach, and it appears that any colour loss that is going to happen, takes place in the first 24hrs. 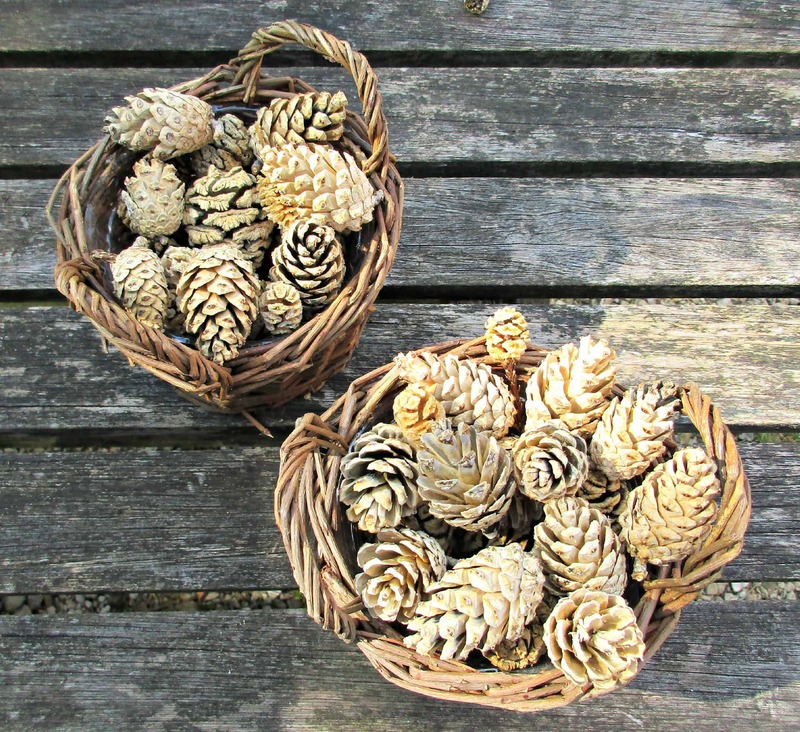 I will be honest and admit that I am delighted with the results we achieved, I was a little sceptical that this was going to work, but as you can see from the photos, the pine cones look really rather pretty. Now that we have all these beautiful, bleached cones, we wanted to start making things with them straight away! So here is our first project using home-bleached pine cones. 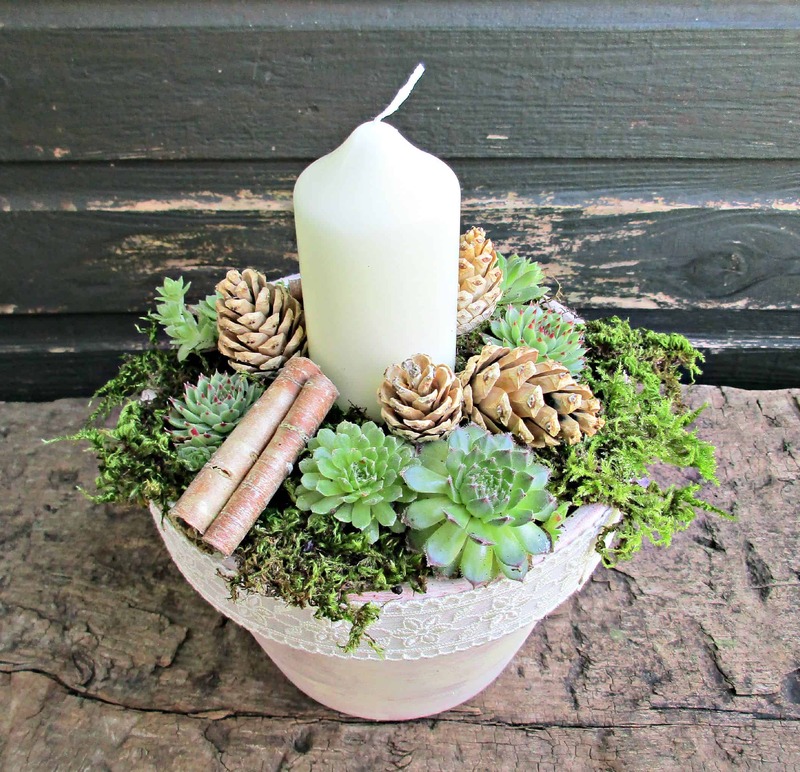 We painted a terracotta pot with cream acrylic paint, stuck a lace ribbon around the rim, and planted it with a candle, pretty little succulents, moss and our beautiful cream pine cones. I think this would be perfect for a winter table centre-piece! If you have enjoyed this Pin-tested Post, why not check out our Pin-Tested! Homemade Vanilla Extract and our Pin-Tested! Homemade Firelighters Posts. We have a couple more pins ear-marked to be tested over the coming months, but if you have any ideas you’d like to put forward we would love to hear them – the kids and I love a challenge! 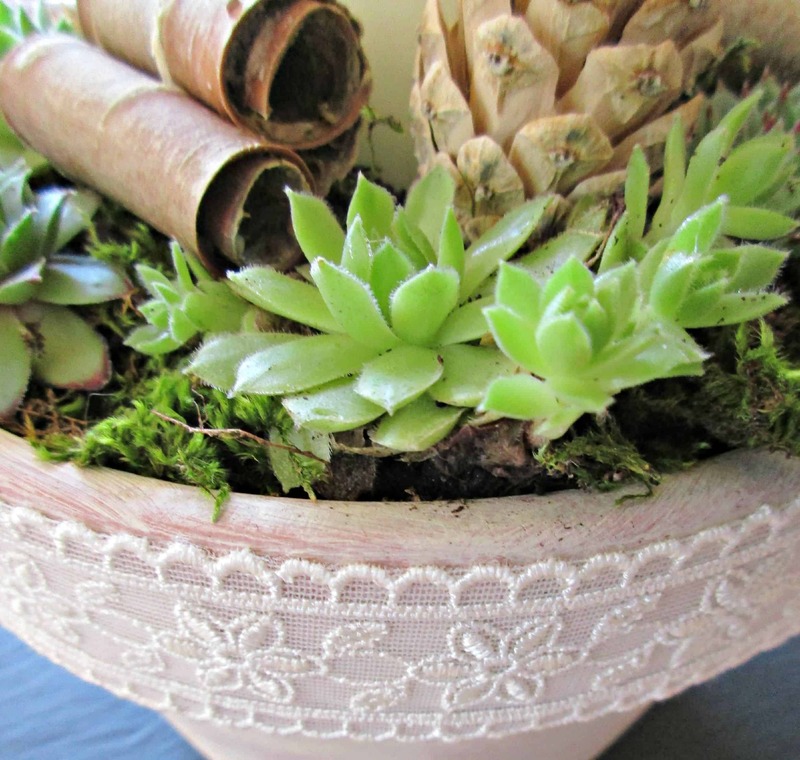 For more rustic craft ideas, check out our how to decorate your home with nature post. Woodchester Mansion – An Unfinished Masterpiece. This is lovely and will make wonderful gifts for my family! I have a huge white pine, and more pine cones than the squirrels and I can use! Four tiny trees were found last week, so there will be even more in the years to come! Thank you for this beautiful project! Sarah they look really gorgeous. I’ve never tried this technique or any technique for pine cones. But I really l like what you’ve achieved here. Your pine cone experiment turned out lovely Sarah. I always loved the look of natural bleached pine cones, it really looks like you left them outside in the elements for a very loooooong time. Sarah, I love how they turned out! I wish my little 6″ pine tree that I found while pulling weeds one day would hurry up and grow and give me some pine cones. LOL. 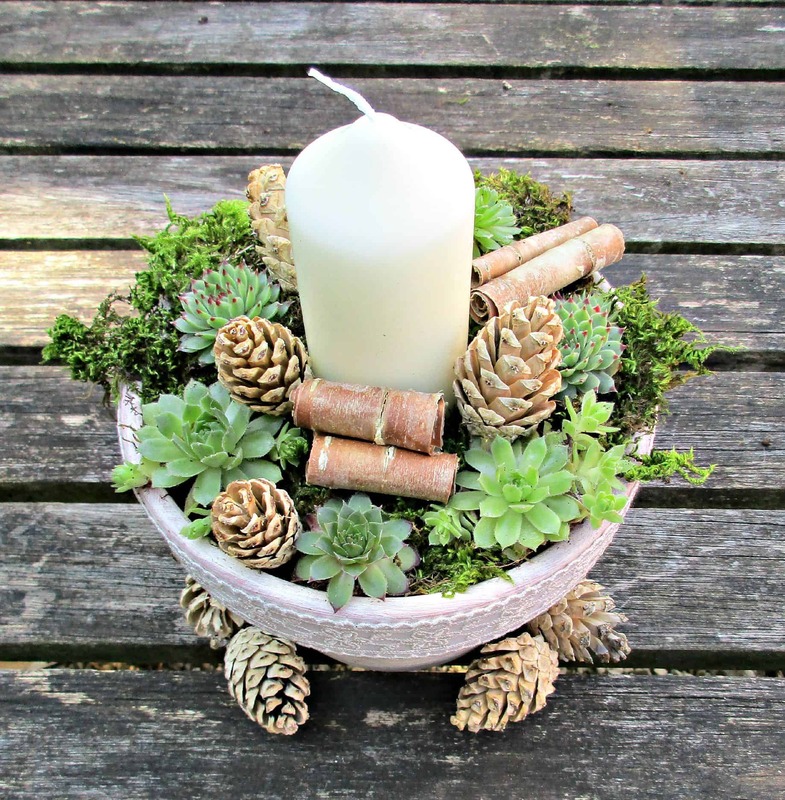 I really love what you did with the pine cones in your winter table centre-piece. It turned out Beautiful!!! They do look lovely pale Claire, we used them in all sorts of crafts over Christmas. Thanks for pinning! Did you rinse the pine cones well after bleaching to remove the bleach odor? I am so glad you did this Pin test, I have seen this pin and have always wanted to try it, like you, not really sure it would work and now you have convinced me to try it. We have many pine trees on our property and have always used the regular pine cones, no treatment, so this will be a fun different thing to try, again thanks for your testing, I look forward to your other tests. 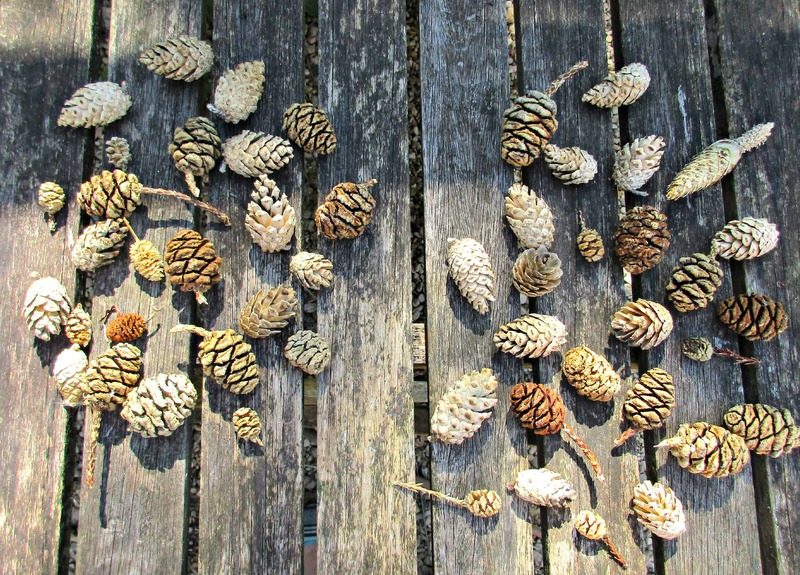 who would have thought you could take the colour out of pinecones….weird! Thank you so much for visiting and commenting. No they don’t smell of bleach at all (I just sniffed one close up as well to double check!) I did leave them outside (but undercover) for a while so they got a good airing. I have seen some tutorials on pinterest showing how to make pine cones smell of cinnamon which would be a fun thing to try if that was a smell that appealed to you. Thanks for having us on #TwinklyTuesday!